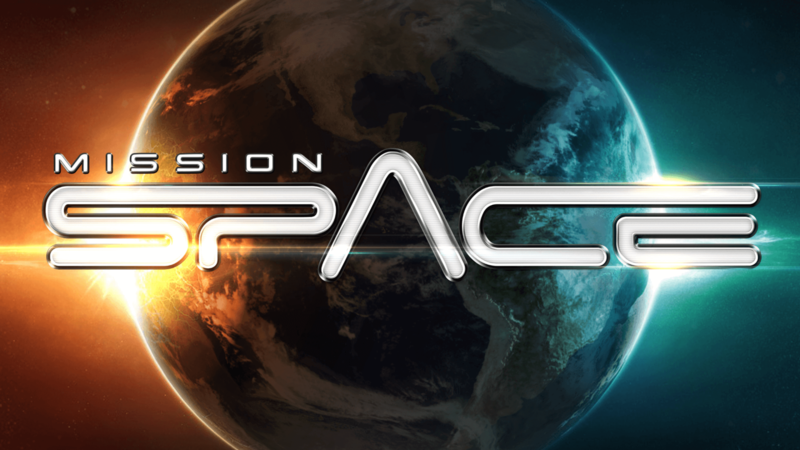 Mission: Space is a flight simulator attraction at Epcot. The ride opened in August of 2003 replacing Horizons. Guests are tasked with cooperating during a simulation of a flight to Mars. There are two distinct sides to the attraction. Both teams were originally tasked with the same mission until a refurbishment in mid 2017 where the green team will receive a new mission. The green team mission featured less motion than the orange side and is known as the “less intense” mission. This side does not spin as the orange side does. This makes the ride more accessible to those not looking for a thrill ride. A new mission for the green team of Mission: Space was revealed at the 2017 D23 Expo. The mission was animated by Industrial Light and Magic and will debuted later in 2017. The orange team mission is known as the “more intense” version of the ride. Guests are spun inside their simulation capsules to actually feel the sensation of a shuttle launch. The mission is expected to be the same Mars mission as it was before the 2017 refurbishment, just with better visuals thanks to Industrial Light and Magic. The queue features a large set piece from the movie Mission to Mars called the “gravity wheel”. There aren’t also various replicas of NASA space vehicles within the queue as well. Once guests are through the main room they are sorted into two lines where they’ll then begin their mission briefing which is hosted by Gary Sinise. Prior to a short briefing you’re led to stand on an assigned number, from there each person in the group of four is given a role to play in the mission. After your assignments are given and a secondary briefing, guests are sent into their simulation capsules. Guests pull down their overhead restraints and a control panel is then lowered once they are locked in. Each capsule holds four guests and they sit in a single row with dividers. Bins are provided in the dashboard of the capsule for guest’s personal belongings. The ride lasts roughly five and a half minutes (5:38) and is capable of entertaining 1600 guests per hour.